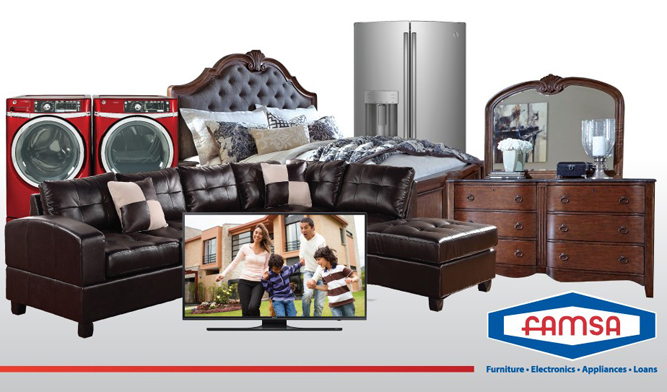 FAMSA USA specializes in selling household items which include: furniture, mattresses, electronics, computers and appliances from the best brands, with the best prices. FAMSA offers customers home delivery & assembly, as well as the sale of extended warranties for product and price matchings. A huge network of stores in Mexico allows FAMSA to offer an exclusive service “De FAMSA a FAMSA”, whereby customers can buy in the U.S and FAMSA will deliver their merchandise to their family members or friends in Mexico, El Salvador, Guatemala or Honduras.